MANCHESTER, Sporting Alert – Jose Mourinho says Marcus Rashford is the number two striker to Zlatan Ibrahimovic at Manchester United, and added that the England youngster will get his chance to continue his development at Old Trafford. Rashford, one of the bright sparks for Manchester United under Louis van Gaal last season, is yet to feature for the club in the English Premier League under Jose Mourinho this season, but the Portuguese coach revealed that he is happy with the way he is progressing. Summer recruit Zlatan Ibrahimovic, who has scored four goals in three appearances so far this season, including three in the EPL from two outings – occupies the starting place as the Red Devils’ No. 9, but Mourinho says only the Swede sits above Rashford for that position. “To be, at this moment, Manchester United’s second striker [in the no.9 position] – not the third or fourth or fifth – behind one of the top players in the world, who he can learn so much from, I think his situation is very good,” Jose said on www.manutd.com on Friday. 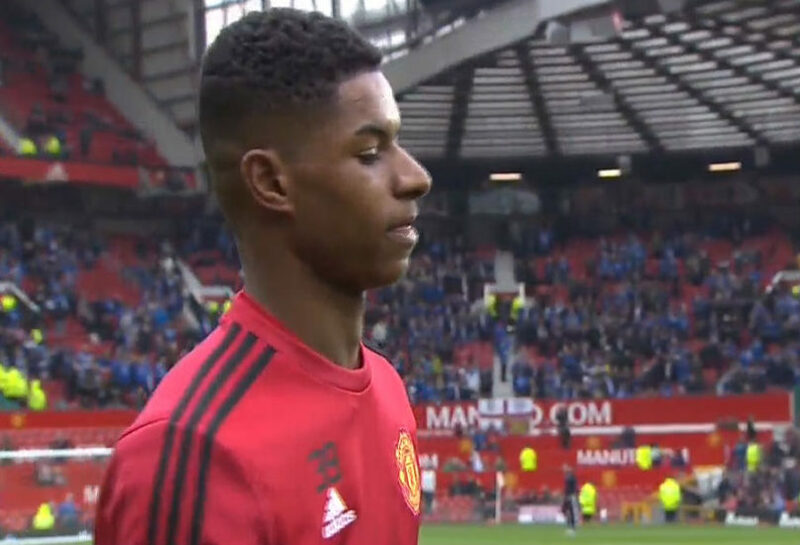 The manager says he would also be happy to see England switch Rashford from the national senior group to the Under-21 squad, as it gives him more chance to playing first-team football. Mourinho agrees that Rashford is a fantastic talent, but needs more time to mature. During his interview on Friday, the Manchester United boss explains that the more experienced Harry Kane and Jamie Vardy are understandably the favourites for the starting places in the England senior team against Slovakia, which means Rashford would perhaps be only a substitute on the bench. “The situation with England is funny because when you are 18 years old and are in the Under-21 national team, I don’t think it’s a drama,” Mourinho explained. “I think he’s fantastic, I think he’s very good. But to be honest, for his development, I think it’s better to be in the Under-21s and play two international matches than go to Slovakia with the first team and sit watching Harry Kane and [Jamie] Vardy and those experienced players that Sam (Allardyce) is going to select.